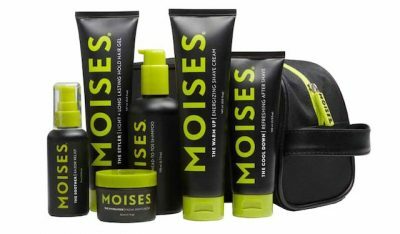 If you’re looking for something special for a man who travels (and grows facial hair), the Moises Total Men’s Care Kit from Moises “Jordan” Lopez in its convenient grooming bag is a great idea for a fly guy, and is also a way to give to charity, too. His devotees include Carlos Gomez (Texas Rangers), Albert Pujols (Anaheim Angels), Carlos Beltran (Houston Astros), Felix Hernandez (Seattle Mariners), and Jose Reyes (New York Mets). But the best part: he’s committed to helping the young people in his home country of the Dominican Republic and other countries where extreme poverty exists, so he commits 8% of net sales to charitable endeavors. 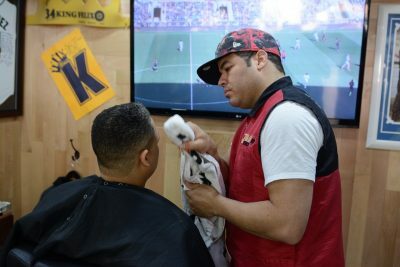 These products are available in Moises’s two barber shops located in the Bronx and Upper Manhattan, and online here: https://jordanmvp.myshopify.com/pages/services.